The other day, Lily wrote about how she “found Inception potentially very interesting but in the end quite disappointing.” I didn’t get a chance to see it until yesterday, but I had a different reaction: I found it uber freaking fascinating. My thoughts after the jump…with Spoilers Aplenty, so beware if you haven’t seen it yet! Layers. Russian Boxes. Cubes. Stories within stories. Narratives wrapped in narrative. Like the indicator test explained in the film which signals someone is in a dream: not remembering how one gets to where they are: no memory of a starting point: no memory of the preceding: “we never remember the beginning of a dream” – this film has no beginning, it just begins – if we assume the beginning is the ending, that is: Cobb washes up on the shore of his memory/dream which is actually limbo, the fourth layer (fifth layer? ), the limbo Saito has been trapped in for a lifetime after being shot in a later dreamstate that actually, again assuming we begin at the end, has not yet happened. That means, there is no entry for the film. The film can only be the dream, pure. Pure dream. Have we seen a film before that is pure dream? One in which the dreamer does not wake? I’m not sure I can think of one –aside from Kurosawa’s Dreams, which is different for many reasons not least of which being that it’s a serial, composed of various unrelated tales, unlike Inception which is one extended tale. This is not a film where at the end the person wakes up and goes, “oh it was all a dream.” This is a film where, I’m presuming, no one wakes up. The question of the dreamer. Who is the dreamer? Who is participating and who is controlling? Is it shared or is it singular? Is each character a manifestation of some aspect of the dreamer’s psyche, subconscious, and if so how can we know? We are told that one person dreams and another builds the architecture. The subject produces the content. But who is manipulating who? Who is producing the content in Inception? Cobb is centered in the film, is a particular intensity, but we are privy to scenes without him. Yusef is the central character in the first level of the dream. Arthur is the central character in the second level of the dream. And the third level of the dream, I’m not sure…Eames is the one responsible for providing the kick, so perhaps he is technically the central character, given that the person responsible for the kick in the other two levels take on the role of the central character. But, it raises the question: must there be a master dreamer dreaming? Can we deduce who that master dreamer is – or is that master dreamer absent from the dream? Would be interesting to consider the significance of the fact that Cobb’s first kick involves him falling into a bathtub full of water, in slow motion, same as the kick out of the first level of the job: the van falling into the water. Parallel actions = narrative clue? Cobb has father issues. Cobb also has fathering issues. Further mythological connection: Cobb’s father introduces him to Ariadne. Ariadne was the name of a Greek goddess. Ariadne was Minos’s daughter. She helped Theseus escape the maze at Crete where the Minotaur was trapped, by giving Theseus a ball of string, which he tied at the entrance and carried with him as he made his way through the maze. Once he defeated the Minotaur, Theseus followed the thread back to the entrance of the maze to safety. Eames was the counterfeiter. He could somehow take on the likeness of another person and trick another dreamer into believing that they were corresponding with someone else. This introduced the idea that people need not be who they seemed to be: if Eames could take on the likeness of someone else, why assume other characters aren’t doing the same thing? Also, what genres are we talking about, when we’re talking about Inception? Yes. Inception brought to mind Gondry’s Eternal Sunshine. It also brought to mind other simulated reality films like Kaufman’s Synecdoche, New York, Cronenberg’s eXistenZ, Verhoeven’s Total Recall, and Proyas’s Dark City. All films I love. Note to self: design undergraduate course around this idea of simulated reality. Ebert’s last sentence there reminds me of what AD Jameson has discussed re: the tension between convention and innovation: the way a work needs to be legible lest (in Frank Kermode’s words) it become noise. Inception is digestible. I would wager that one is not baffled in the same way one might be upon leaving the theater after seeing something like Inland Empire, for example, yet Inception remains in the same sphere of films in my estimation. Is that true? Inception is not a blistering mindfuck like Inland Empire, to be certain. It is a puzzler, though. And like Inland Empire, it is what Barthes would call a “writerly text.” What that means is that it requires the viewer’s active participation…it is not a movie to be consumed as much as it is a film to be created through the interplay of artist and audience. I disagree. Nolan couldn’t have achieved the level of ontological uncertainty that I believe he does achieve if he would’ve gone “untethered” or allowed the “full measure of madness” those critics suggest. To do those things would firmly establish the certainty of the dreamworld, would destroy any ambiguity, and would get you Inland Empire — again, a brilliant film that similarly deals in the realm of dreams, but the important distinction between Inland Empire and Inception is that Inland Empire is not concerned with ontological uncertainty: what is “real” and “unreal” is more or less irrelevant in Inland Empire. Instead, Inland Empire is primarily concerned with an exploration of psychological landscapes: fears, hopes, aspirations, anxieties, frustrations, etc. Some critics have also voiced a distaste for the seeming one dimensionality of the characters. My response to that criticism would be: of course the characters are all one dimensional: they are dream figures. The whole notion of “multi-dimensional” characters is predicated on the mimetic function: mimicking “real” people, not dream figures. Remember towards the end of the film when Cobb is holding Mal and he is telling her how one dimensional she is, how she is so unlike his “real” wife because his “real” wife was so complex. That’s it. 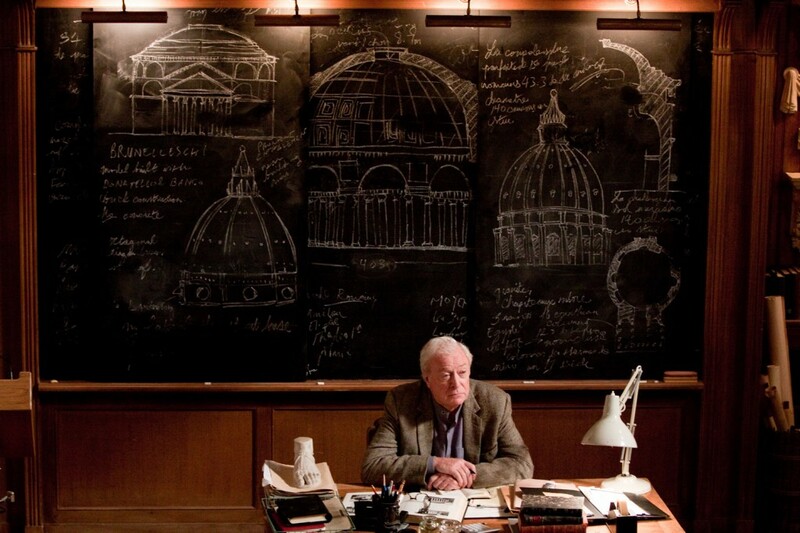 What we are seeing in this film is what Cobb is describing: all are necessarily simple, not complex, projections. Some critics got caught up in the spectacle and couldn’t see the philosophical running along beside it. I think that response is a shame. Inception certainly has the blow-up action sequences and the crazy special effects that audiences love in their summer movies, but unlike the majority of blow-up action sequence crazy special effects movies, which tend to reinforce preexisting assumptions and habits, Inception challenges reception expectations and forces intellectual engagement. Finally, the love story aspect. Inception is, alongside all these other things, a romance. It is about love and guilt and betrayal. I thought the section where Ariadne shows up in Cobb’s private dreamspace — where he takes her in the elevator from memory to memory — was one of the most heartbreaking scenes in the film. One’s desire to lock away memories, hold them captive. One’s desire to not let go. If you want more, Jezebel has a pretty good roundup of reviews. And this fan site is a pretty good hub.